By Liz Savage, Guest Blogger Under pressure, physicians began to insist that their patients taper opioids. But alternatives were few and far between. The single most effective class of non-opioid painkiller, a non-steroidal anti-inflammatory known as a “COX-2 inhibitor,” had its reputation blackened in the mid-2000s, just as opioid manufacturers fought to obtain the lion’s share of the market. At their peak, COX-2 inhibitors, championed as 10 times safer than ibuprofen and naproxen, were prescribed for about 100 million people, many of whom suffered from back pain arising from osteoarthritis. The COX-2 drugs were massively profitable for their makers. They cost significant more than naproxen or ibuprofen. But the solid reputation of COX-2 inhibitors did not last. By 2004, studies showed that COX-2 inhibitors doubled the risk of heart attacks and strokes. It was revealed that Merck, the company that manufactured Vioxx, had known about the risks since at least 1997, but had kept the information confidential. In January 1999, Merck launched a trial of 8,000 people with the hope of showing that Vioxx caused fewer gastrointestinal problems than naproxen. But before the year was over, the study’s safety panel saw a disconcerting trend: 79 patients out of 4,000 taking Vioxx suffered serious heart problems or died, in comparison to 41 patients taking naproxen. In March 2000, when Merck’s study outcomes were tabulated, the results showed that while patients taking Vioxx suffered fewer stomach problems than the naproxen group, they had significantly more blood-clot-related problems and four times as many heart attacks. By the time Merck pulled the drug off the market in 2004, 88,000 Vioxx patients had experienced heart attacks, and 38,000 of them died. Six months later at the request of the FDA, Pfizer recalled its COX-2 product, Bextra. Why the FDA made that choice, in the absence of relevant data, remains unclear, but one feels Pfizer’s hot breath in the decision. By that time, Pfizer had the only top-selling COX-2 drug on the market. Celebrex was 10 to 20 times more expensive than ibuprofen and naproxen. If doctors saw a black box warning on Celebrex, but none on ibuprofen and naproxen (suggesting that the latter two drugs were safer), Pfizer’s market share would quickly disappear. If all NSAIDs bore the black box warning, Celebrex could maintain its status as the best in class. Pfizer fueled this uncertainty about its competitor NSAIDs as it launched (and paid for) a massive international clinical trial to compare the safety of celecoxib, naproxen and ibuprofen. It took more than 7 years to recruit the 24,000 study participants, all patients at high risk for cardiac events. (The delay was caused in part because European regulators, concerned about the risks associated with maintaining patients on Celebrex for years, refused to allow the trial to be conducted there.) 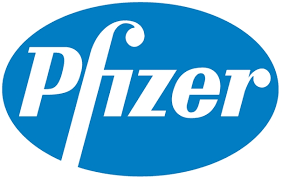 Pfizer took its time with the trial, which was slated for completion in 2011, but then extended to conclude in 2016. The PRECISION trial, as it is known, is critical to keeping Celebrex afloat. As long as the trial continues, and the relative safety of the three NSAIDs remains uncertain, Celebrex can stay on the market. When the reputation of an entire class of painkillers was sullied in 2004, primary care doctors found themselves in a tight spot. More than 100 million patients relied upon NSAIDS. Opioid manufacturers saw an opportunity and took it. Marketing documents from opioid makers informed physicians that opioids were better than NSAIDs because there was “no ceiling dose,” and unlike naproxen and ibuprofen, opioids did not cause gastrointestinal bleeding. One opioid manufacturer attributed 10,000 to 20,000 deaths per year to NSAIDs, a number that was likely very inflated, but never discussed the mortality rate of patients on chronic opioid therapy. Opioid manufacturers launched a very effective campaign to make their drugs the go-to prescription painkillers. 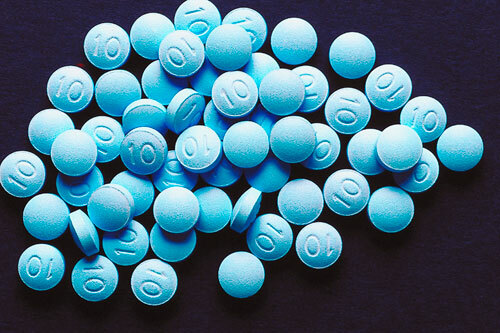 In one study of elderly osteoarthritis patients, in the five years after Vioxx was pulled, the number of opioid prescriptions their doctors wrote for them doubled. What eluded the media--and most physicians, who typically do not have the time to dig into the data--was that for the heart-healthy patient, in comparison to other cardiovascular risk factors, the relative risk of heart attack or stroke from COX-2 inhibitors was low. The risk was much lower, in fact, than the risk of heart attack or stroke due to smoking, or obesity or uncontrolled high blood pressure. A 2013 analysis of 600 studies, published in the highly reputable journal The Lancet, found that in contrast to COX-2 inhibitors, naproxen and other non-selective NSAIDs did not increase the risk of heart attack or stroke. But the massive analysis did not convince the FDA to alter the black box labeling on naproxen and ibuprofen. In 2015, the FDA posted a drug safety announcement acknowledging that the risk of heart attack and stroke from non-selective NSAIDs might differ from the risks related to COX-2 drugs, but without the very tardy results of the PRECISION trial, there was still not enough evidence to know for sure. When – and if – the PRECISION data sees the light of day, NSAIDs may be determined to be safer than COX-2 drugs. The very few small observational studies that compare opioid therapy to NSAID therapy show that NSAIDS may be the better treatment, and safer than opioids. If that turned out to be true, it would be worth billions. Needless to say, no opioid manufacturer is interested in funding a larger comparative study that would illuminate the differences in the safety profiles between NSAIDs and opioid analgesics.